OK, maybe one will be up in Saratoga Springs and another down in Albany, so it isn’t really a face-to-face face-off, but which one will you go to tonight, Sirsy at Putnam Den or Timbre Coup at Red Square? 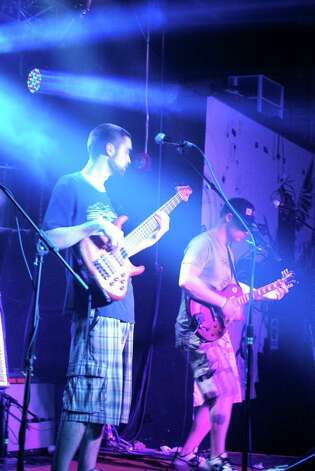 Longtime Capital Region favorites Sirsy are ready to rock you into the new year in style in Saratoga’s Putnam Den. 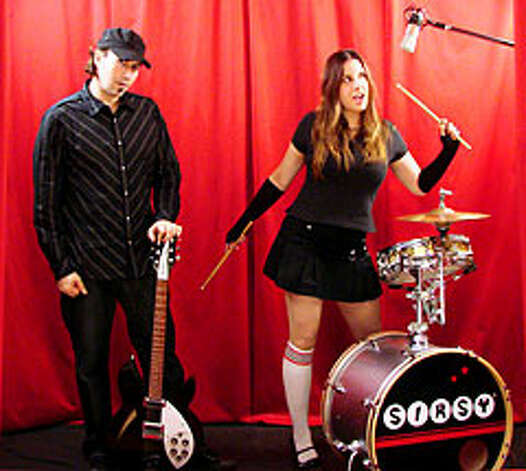 The amazing two-person band is Melanie Krahmer (vocals, drums, flute) and Rich Libutti (guitar, bass) and they’ve won all sorts of awards and accolades in the years since they first got together in 1999. Krahmer has one of the most powerful and flexible voices you’ll ever hear, and their clever, smart songs have more hooks than a tackle box. The dynamic duo recently signed with Funzalo Records, and are working on a new CD, and by all accounts it’ll be worth the wait. In addition to that, the two are hard at work on a new rockin’ rendition of “Auld Lang Syne” for the last night of the year. (Okay, we can’t officially verify that, just speculation). Beach punk band Party Boat (featuring Mary Leigh Roohan) will help warm things up. Albany-based Timbre Coup is on a roll of late, gaining momentum and visibility by playing a slew of regional festivals, including Mountain Jam, MoeDown, Camp Bisco, SnoeDown and Catskill Chill, as well as being a fixture at downtown watering hole Red Square, where it will fittingly ring in the new year jamming like there’s no tomorrow. The group includes Dan Gerken (guitar, bass) Andrew Chamberlaine (guitar), Ben Pickering (guitar) and Matt Pickering (drums) and their intricate, complex prog-rock tunes require a high level of musicianship, which they are truly up for. Their most recent CD, ”Knuckles & Valleys,” shows the group’s impressive musicality and compositional competence. Also on the bill is another Red Square regular, Consider the Source, a combo who call their music sci-fi Middle Eastern fusion. That description alone should make you curious enough to make you go. ← Should Capital Region theaters offer “tweet seats”? I’m looking forward to Party Boat tonight. While Sirsy is certainly a talented group, their sound is too refined for my tastes. I prefer the rougher, more indie sound of a less refined band. In fact, I’m somewhat disappointed that Putnam Den didn’t book more of the area’s up-and-comers for New Year’s Eve.